A swim school in Sunderland has become the first in the UK to become an Autism Swim Approved Centre, and one young student that will benefit hugely from this is eight-year-old Myles, who had previously been told he was unteachable in a mainstream or small group class because of the severity of his autism. in at the deep end (IATDE) is an STA Swim Star Swim School, and its owner Mark McNichol has been teaching learners with additional needs for the last eleven years—as well as running IATDE, he also works as a teacher within a specialist autistic school helping youngsters aged 11–19 years. Mark said: Whilst working in this sector, I’ve become acutely aware of the limited experiences some children have, as well as the barriers and roadblocks some children have in accessing extra-curricular activities. With my business partner, Kim, who also works in primary learning support, we set up IATDE to make sure no swimmer who comes to us is ever barred or excluded due to having additional needs. Teaching swimming to individuals with autism spectrum disorder (ASD) requires specialist training, procedures, resources and support. Autism Swim provides this and they are widely recognised as world leaders in wandering, drowning prevention and swimming for those with ASD/cognitive deficit. Mark adds: Thanks to STA recently partnering with Autism Swim as its exclusive aquatics certification associate in the UK, we were able to access the Australian-based training program more easily—as a result we are proud to have become the first Autism Swim Approved Centre in the UK. As an organisation we are committed to workforce development, and we know that Autism Swim’s techniques will help our teachers become even more adaptive and responsive to the needs of their classes, and understand some of the ‘whys’ of ASD behaviours. Myles is the perfect example of how adding this intuitive approach to our already specialist teaching programmes, will help our teachers have a much deeper understanding of a child and their physical and emotional needs—an understanding that will positively aid their swimming progression, confirmed Mark. Myles has been diagnosed with ASD and ADHD, which means his development has been delayed physically, cognitively and emotionally. He also presents symptoms of dyspraxia, and has sensory and audio processing difficulties. Myles joined IATDE a few months ago, after his dad Peter was informed by a previous swimming provider during a trial lesson that his needs cannot be met in mainstream or small group classes due to the severity of his autism. This was a first for IATDE, because while lots of children with ASD join the swim school for reasons of not progressing elsewhere or not being able to self-regulate due to a venue or teaching style, they had never had a pupil like Myles who had been told by previous providers that his needs cannot be met due to the severity of his autism. Myles’ IATDE swimming teacher, Hallam Press, said: When Myles joined us he was unable to swim and often struggled to get into the water. He disliked any splashing, or having water on his face or head, so initially we focussed on a more sensory experience for him; simply getting him in and used to the water in a calm environment, to build his confidence and trust. It wasn’t easy in those first few weeks, but we formed a mutual bond and Myles became attuned to appropriate expectations of his behaviour in terms of safety, listening and co-operation. Then one day, it all came together and he started to swim independently. Myles’ autism is very pervasive, however by gaining an understanding of his needs and how the ASD brain works, he is now able to swim further and further with confidence, and he is even willing to test his own limits by trying to submerge independently a little more each lesson. Routine and water safety education play a significant part of Myles’ learning too, for example understanding the pool rules and repeating the same questions each week are important—something he did not have a concept of previously. This repetitive style of learning echoes Autism Swim’s focus on wandering and drowning prevention. We look forward to seeing Myles progress each week, and while the Autism Swim training and approach will not change the way we teach him per se, it will help to give us an even deeper understanding of him and his needs so that he can keep progressing at a level and rate that is relevant to him, confirmed Hallam. Peter, Myles’ dad, is thrilled with his son’s progress and says that swimming at IATDE has benefitted him massively in many ways, and in many unexpected ways. From a young age, Myles had low muscle tone and lacked in strength, balance and co-ordination; his lack of core and upper body strength meant that he had difficulties with balance, a poor posture and was unable to write. Peter confirmed that since he has started swimming, it has massively contributed to a marked improvement in all these areas and he is now able to grip and apply pressure to a pen so he can write—swimming has really helped to improve his writing too, which Peter said he loves to do! Socially, Myles has also benefitted. Simply by taking part and getting changed alongside other children has been a massive boost, and he has even made friends. 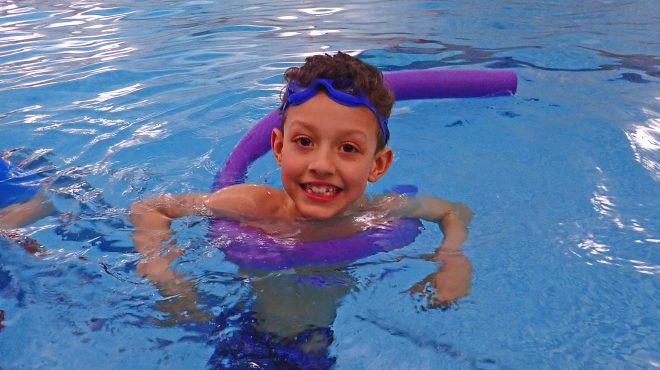 From a sensory point, swimming has enabled Myles to engage with his senses. Sensory inputs from the supportive and tactile nature of the water help give Myles emotional regulation. Plus the repetitive nature of the exercises help Myles regulate his emotions and help with his brain development. Peter, who adopted Myles when he was 5 years old, said: Since starting swimming at IATDE, Myles is now much more calmer and regulated at home, and by being able to talk about his progressions and his aim for more and more badges and certificates, has allowed us to talk more positively about the future and help him to develop an understanding of permanence; a concept which many adopted children, struggle to accept. We can’t thank the team at IATDE enough and together we are looking forward to continuing his learn to swim journey and for Myles to achieve his next milestone—his 25 metre badge. As further support for Myles in recognition of his success, and as celebration of IATDEA’s new certification status, Autism Swim has agreed to sponsor Myles’ swimming lessons. STA, as part of its charitable aims, is also supporting Myles by supplying all his certificates and badges from its International Learn to Swim Programme (ILSP). 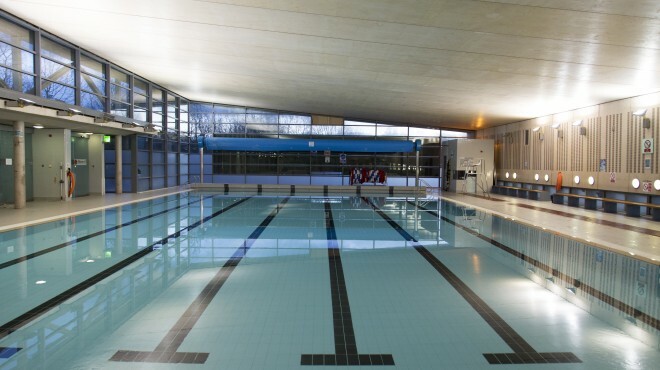 Leanne Dougliss from STA, said: We are delighted that through our partnership with Autism Swim, we are able to make their specialist training more accessible to swim schools like IATDE in the UK, so that they can continue to help young learners like Myles and make a huge difference to families’ lives. We wish Myles and his dad continued success with the brilliant teaching team at IATDE. Erika Gleeson, the Founder of Autism Swim, added: Thanks to our partnership with STA, we are thrilled to recognise in at the deep end as our first UK Autism Swim Approved Centre. As proved by Myles, swimming instructors are our most valuable asset when teaching this wonderful population group, and by equipping them with the knowledge, resources and skills we can continue to effectively teach learners with ASD and other abilities; whether that be benefiting from the therapeutic elements of the water, staying safe around the water, developing some functional stroke, or most excitably, a combination of all of these.